"Green Tara" Statue - Goddess of Action. Tara is the Bodhisattva of compassion while the Green Tara represents compassion in action. 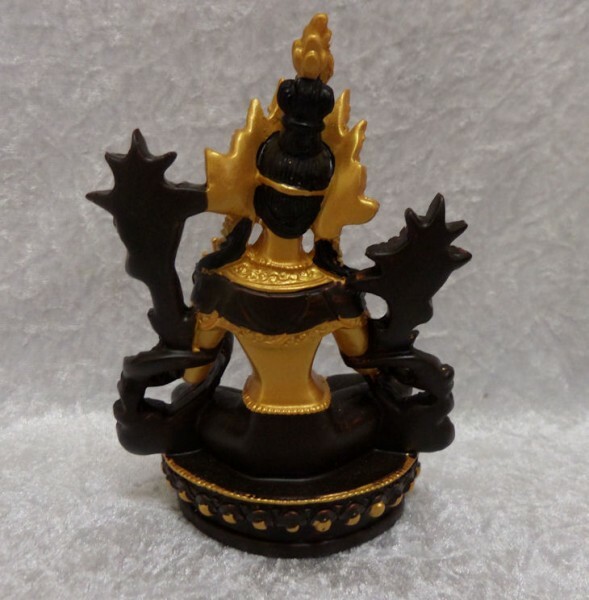 Tara is said to overcome dangers, fears and anxieties. Her right foot is in the process of stepping from her lotus throne in order to help all sentient beings. 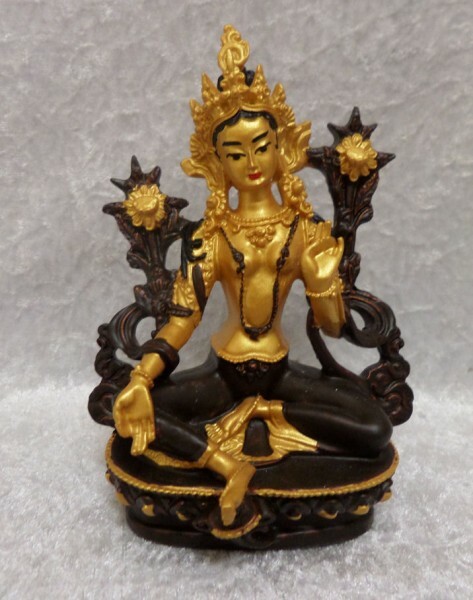 Green Tara is Tara's most dynamic manifestation. Green symbolises youthful vigor and activity. Green Tara's left hand is in the posture of meditation, indicating her enlightened wisdom. Her right hand is in a posture called Supreme giving. She carries night-lotuses which symbolise spiritual unfoldment. Made from crushed marble and resin composite. Hand finished and hand painted.